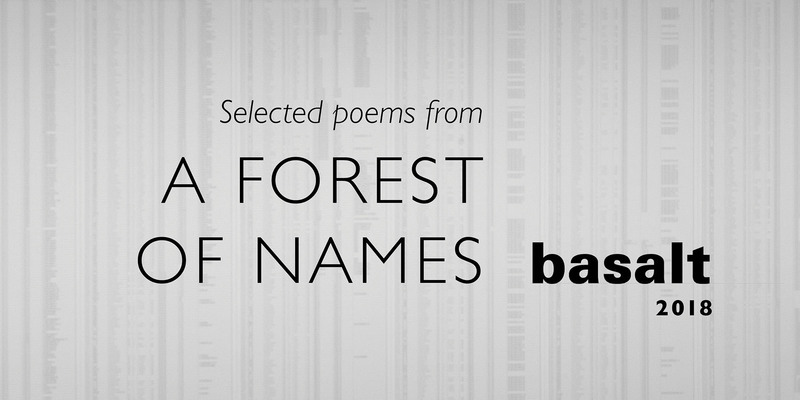 I am delighted that the editors of basalt: a journal of fine and literary arts have committed to publishing selections of poems from my manuscript "A Forest of Names," which they will be posting to their website in monthly installments throughout 2018. I will keep adding links here to each of these posts as they appear throughout the year. Thank you Jodi Varon and David Axelrod for your continued support of this project.